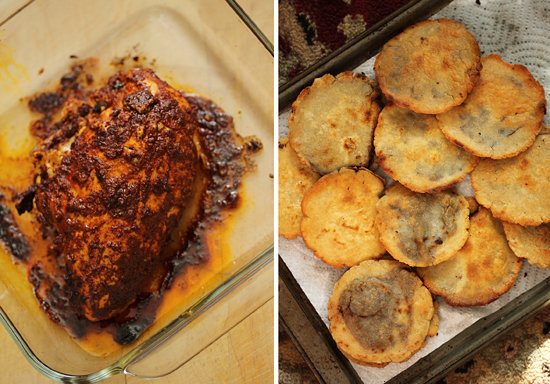 These Panuchos have been on my bucket list of recipes for over three years. They were on the cover of the March 2012 issue of Sunset Magazine, and the minute I saw those beautiful colors, I was hooked. 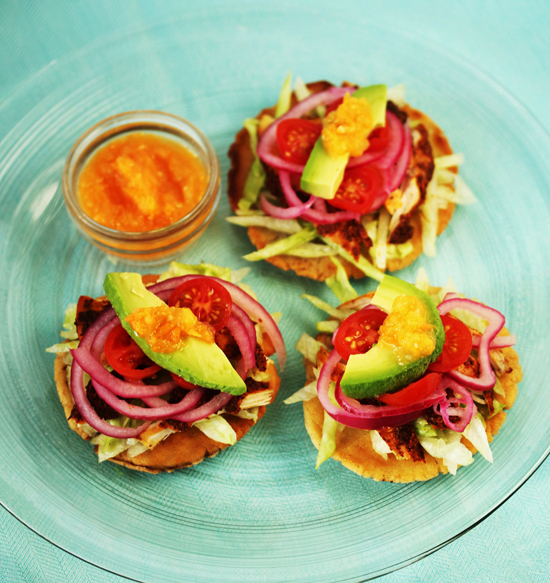 The Yucatan-style tostadas are the specialty of Chef Gilberto Cetina at his L.A. restaurant Chichen Itza and when I read the recipe, I was thrilled to see achiote paste as one of the ingredients. However, like many restaurant dishes, there are a number of separate recipes for the components. Six, in this case. Which was why I put off making them for so long. I needed to have my head in the right place and enough time to do it right. You can buy the achiote paste from a Latino market, but I seriously recommend making your own. 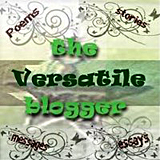 It is so much better and totally worth your time and energy. 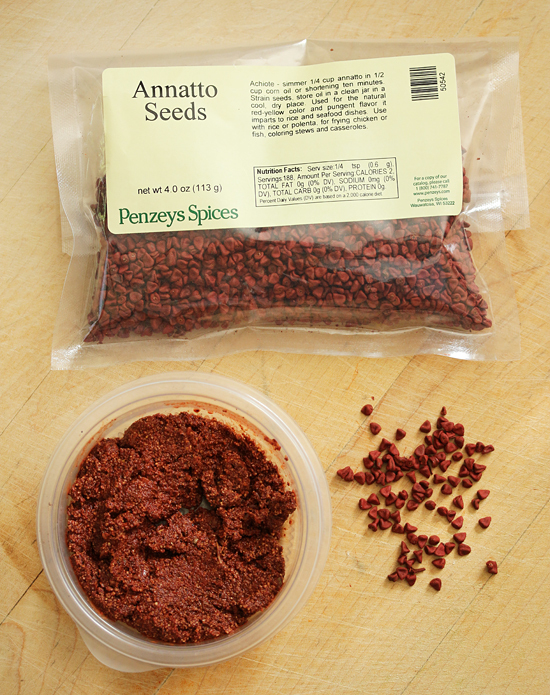 I got my annatto seeds at my local Penzeys Spices store. You could also order them from Penzeys if you can’t find them locally. Make sure and check that the seeds are bright orange-red, which indicates freshness. If they’re very dark red, they’ll be chalky and without flavor. The recipe for Achiote Paste that I made is from Rick Bayless’ book Mexican Kitchen. It is made with annatto seeds, allspice, black pepper, dried oregano, cidar vinegar, garlic and salt. This is a really good recipe and it is used to slather on the chicken breast before baking. You won’t use all of it for this recipe, so, you lucky dog, you will have some left over for another recipe or two. The small corn tortillas are dry-fried until they puff up, then cooled and slit open to make a pocket. They are filled with a black bean and onion puree, then fried in oil to golden crunchy perfection. The Habanero Salsa was my first foray using the habanero chile, and from my personal experience, you should wear gloves to work with them raw. They may be wickedly hot, but the salsa is so delicious, so fruity tasting, it is not optional. I put dollops all over my panuchos and they were grand. 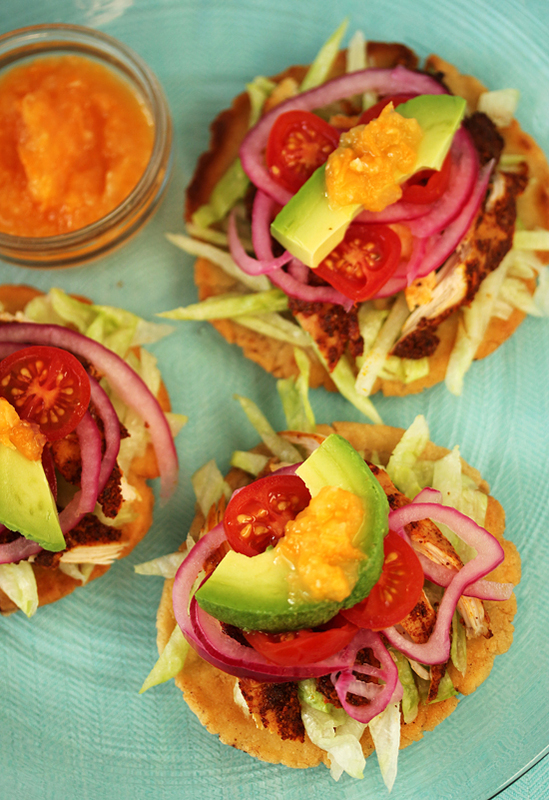 So, stack your panucho: lettuce, chicken, onions, tomato, avocado and salsa. Voila. I really like achiote paste, so I smeared a little on the tortilla before stacking. Totally optional. This is one of those wonderful things you must hold with two hands to keep stuff from sliding off. Juice drips down your palms. Your face gets all smeary. And every bite is absolutely amazing! Achiote paste can be purchased at Latino markets, but home-made is so much better and totally worth your time and energy. 1. In a spice grinder, pulverize annatto seeds as finely as possible and place in small bowl. Pulverize allspice and black pepper corns along with oregano and add to annatto. 2. Add cider vinegar and mix. Put garlic through garlic press and mix in. Add salt. If needed, add up to 2 tablespoons water to make consistency of thick paste. Note: Achiote paste will keep several months, tightly covered and refrigerated. 1. Bring water to boil in small saucepan and add chiles, onion and garlic. Cover, reduce heat and simmer for about 15 minutes until chiles are very tender. 2. Whiz chile mixture in your mini processor with vinegar and salt until fairly smooth. Nore 1: Can be made up to 1 week ahead, chilled. Note 2: I recommend using gloves (or plastic ziptop bags) to work with the raw chiles. The chile juice does not wash off bare hands well with soap and water. Trust me. 1. Combine ingredients in small bowl and chill, covered, until used. 1. Preheat oven to 385 degrees F.
2. In medium bowl, mix together vinegar, achiote paste, oil and salt. Add chicken breast and turn to thoroughly coat. 3. Place chicken in 8×8 glass baking dish, scooping all of achiote mixture from bowl onto chicken. Roast for about 45 minutes, until thickest part measures 150 degrees F.
4. Cool, then shred meat from bones. Set aside. 1. Puree black beans with their liquid in food processor. 2. In medium frying pan, large enough to hold bean puree, cook onion in oil over medium heat until golden, about 5 minutes. 3. Stir in bean puree and cook until bubbling, 1 to 2 minutes. Cool. Scoop into medium plastic ziptop bag. Note: I only used about half of bean puree and froze the rest to repurpose. 1. In large bowl, mix together masa harina and salt. Add water and stir until a dough ball forms. 2. Roll dough into log and divide into 15 equal balls. Cover with plastic wrap. 3. Heat a heavy griddle or skillet over medium heat until hot. 4. Working with 1 masa ball at a time, line tortilla press with heavy piece of plastic (like a freezer bag cut in half). Place masa ball in center of press, cover with another piece of plastic. Press tortilla to 4 inches wide. 5. Remove tortilla from plastic and place on heated griddle. Cook for about 1 minute until lightly speckled, turn and cook 1 minute on other side. 6. Flip again and press tortilla firmly with folded smooth kitchen towel for about 4 seconds, which helps it puff. Remove towel and cook until it puffs, 15 to 30 more seconds. Transfer tortilla to work surface. 7. Holding the tortilla in the kitchen towel (its hot), with a small serrated knife, cut slit 1/2 inch from edge, about 2 inches long. Slide small offset spatula inside tortilla to make a pocket. Let cool. Repeat steps 4-7 for remaining tortillas. 8. 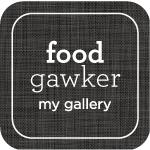 Take plastic bag with black bean puree and cut off small tip (about ½ inch wide) of one corner. 9. Open up pocket of a cooled tortilla by squeezing edges together slightly. Be careful not to tear it. Put nozzle tip of plastic bag with bean puree into pocket of tortilla. Squeeze about 2 teaspoons puree into pocket, patting with fingers to spread beans inside. Fill all panuchos in same way. 10. In large heavy skillet, heat 2 tablespoons oil over medium heat. Add single layer of panuchos and cook until golden, turning once, 3 to 5 minutes total. Repeat with remaining panuchos. 1. Drain pickled onion and place on paper towel to drain further. Serve in small bowl. 2. Assemble components in work area: fried tortillas, shredded lettuce, shredded chicken, pickled onion, sliced tomato, avocado slices and habanero salsa. 3. 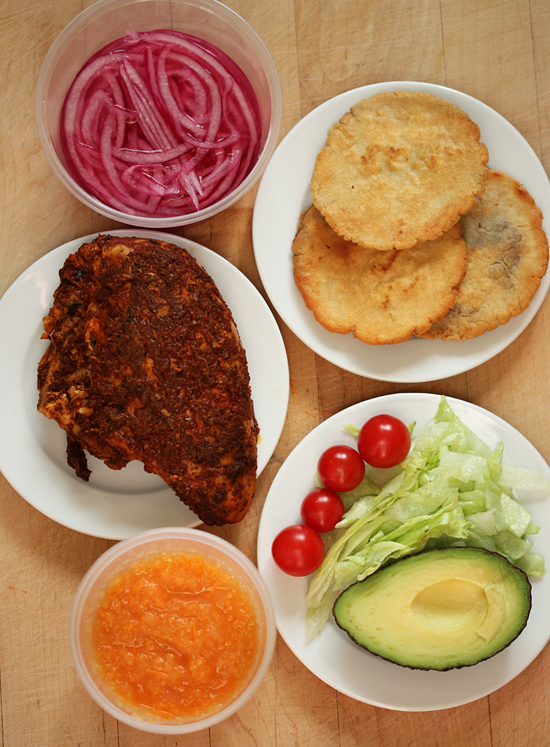 Build Panuchos yourself or let family and friends assemble their own. Serve habanero salsa on the side because it is wickedly hot and a little may go a long way for some. Note: I really like achiote paste, so I smeared a little layer on each panucho before putting on the toppings. I also put on a lot of salsa, which has a lovely fruity flavor, and whose hotness is diminished when tasted with the other toppings, especially the avocado. Wow, you rock! I’ve been to the real Chichen Itza and the restaurant here in LA, but I can’t remember what achiote or annatto seeds taste like. You always come up with the most unusual ingredients! Qué bueno!